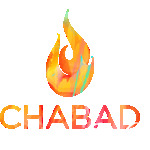 Join us for our easy-to-follow service, followed by a delicious Kiddush and great company. We do not charge membership. Every Jew is welcome regardless of affiliation and background. Our services are geared to make everyone comfortable no matter what level you may be on.